Tracy Allen knows real estate. Tracy Allen knows real estate. As an industry leader with 29 years of dedication, Tracy’s extensive market knowledge and skill have consistently placed her among the elite of Hawaii’s realtors. Tracy’s clients have a distinct advantage. Her in-depth construction, design and staging experience, superior people skills and determination to indulge her clients with exceptional service set her apart. She can transform the look of your property, negotiate the terms to your benefit, and help you achieve a successful closing at top dollar. 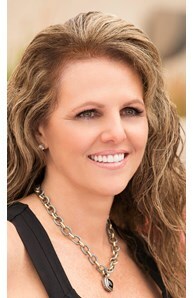 Tracy is a leader in her profession with prestigious accolades for her skill, expertise, and results. In addition to holding the record for the highest closed residential sales on the entire Island of Oahu, Tracy consistently ranks in the top 1% among her colleagues locally and nationally. Tracy was bestowed NRT’s prestigious Society of Excellence Award for achieving an exceptional level of sales in 2014 and again in 2017, representing the very top tier of sales performance. Tracy is the only Coldwell Banker agent in Hawaii and one of just 54 individuals, or less than one per 40,000 NRT Coldwell Banker independent sales associates, in the United States to receive this honor not only once, but twice. In addition, she placed among the top ten sales associates, ranking sixth overall among more than 85,000 Coldwell Banker agents internationally based on closed sales. Tracy also received the International President’s Premier award. This designation acknowledges the performance of the top one percent of all Coldwell Banker sales associates in North America. Tracy repeatedly dominates the luxury sales market and is the Top Producer of Coldwell Banker Pacific Properties in Honolulu, Hawaii. Tracy enjoys the same intensity and dedication in all areas of her life. Among her many interests, she enjoys designing and building custom homes with her husband Bryan and spending quality time with their five children. Prior to beginning her real estate career, Tracy enjoyed a career as an equestrian, competing in and winning show jumping competitions all along the East Coast; a true testament to her winning spirit.